Adoption is a topic that we are passionate about. Hopefully we can start the adoption process in the near future. And my sweet little sister has started a fundraiser for us. I cannot describe how proud I am of her. 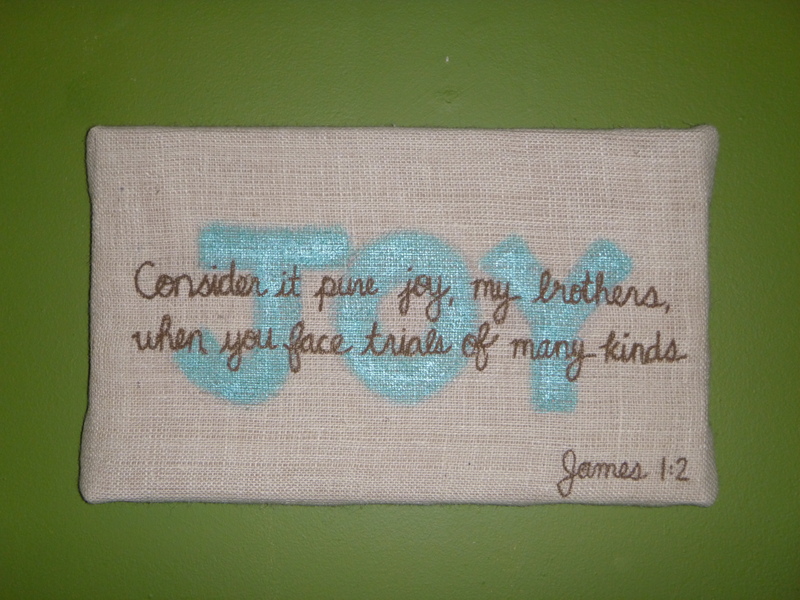 She is selling some really wonderful burlap wall art pieces with Bible verses. She gave one to me last year for Christmas and I just love it. It will be an exciting journey these next few years as the Lord unfolds His plan for our lives and family. He is good and faithful, and we will proclaim that no matter how hard circumstances get. It is a beautiful thing to see the church working together to look after the orphans of the world. May the Lord continue to stir a love for the least of these in His people.